Welcome to the 2nd edition of MLguru – a bi-weekly update on the hottest news from the Machine Learning world. This week we’ll dive deeper into Generative Adversarial Networks and their applications. 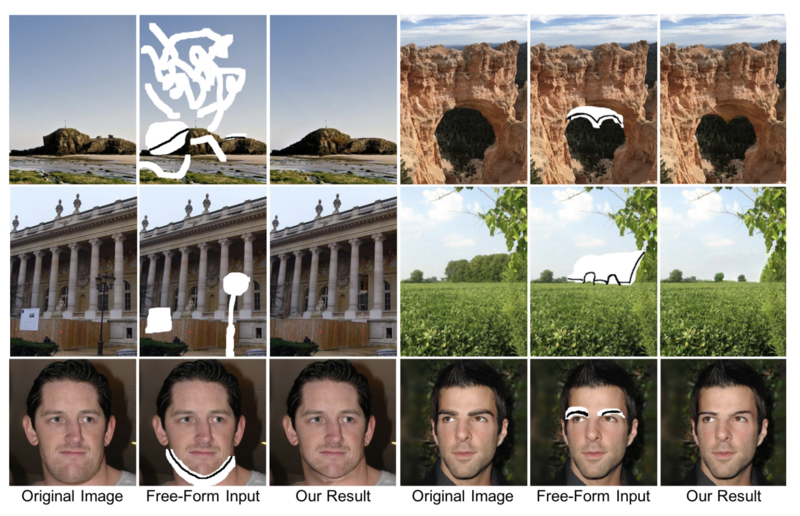 We’ll also present a recently discovered method for image inpainting and some ML products from Google. Enjoy! A Generative Adversarial Network (GAN) is a generative machine learning model that consists of two networks: a generator and a discriminator. The generator tries to fool the discriminator by generating synthetic data that is difficult to distinguish. The discriminator tries to determine whether the data is real or fake. During training, both the generator and the discriminator get better at their tasks. At the, the end generator is capable of generating data that looks like the real thing. GANs have a lot of interesting applications, for example image-to-image translation. Here you can check out a model called STARGan, which performs image-to-image translation for multiple domains. One of the fathers of modern deep learning, Yan Lecun, called GANs the most important thing to explore in research currently. 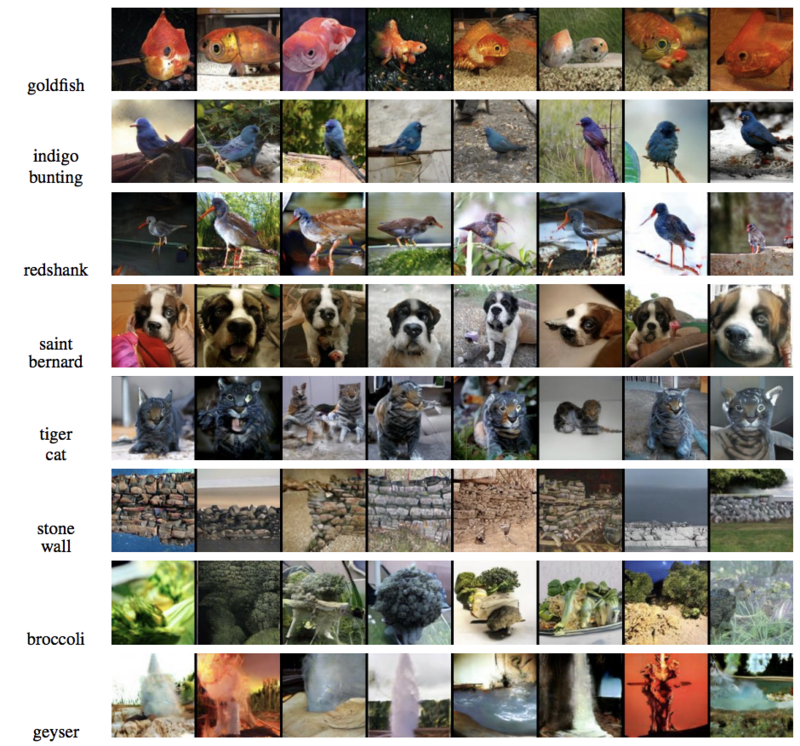 The classic problem with GANs is that they are really good at generating synthetic images in a bunch of different domains, but they struggle to model aspects of images that require understanding of a whole, like getting the number of animal legs right. The father of GANs, Ian Goodfellow, along with some other researchers published a work on Self-attention Generative Adversarial Networks (SAGAN). "The self-attention module is complementary to convolutions and helps with modeling long range, multi-level dependencies across image regions. Armed with self-attention, the generator can draw images in which fine details at every location are carefully coordinated with fine details in distant portions of the image," they wrote. SAGAN outperforms the previous state-of-the art obtaining a 52,52 Inception score in comparison to 36,8 for the previous best published result. There’s also a project page when you can try it out interactively. After a couple of months, the authors improved their method and have released DeepFill v2. And the results seems to be even more impressive! Maybe we should think about using this in next version of the PrettyCity app? With the spread of security threats, machine learning algorithms have been widely used in Intrusion Detection Systems (IDSs) and achieved good results. However, with the raise of Generative Adversarial Networks (GANs), IDSs have become vulnerable to adversarial attacks. A couple of days ago researchers from Shanghai have published a paper on training GANs based on the Wasserstein GAN (here’s a good article on the Wasserstein GAN) that generates malicious traffic examples which can deceive and evade the detection of defense systems called IDSGANs. 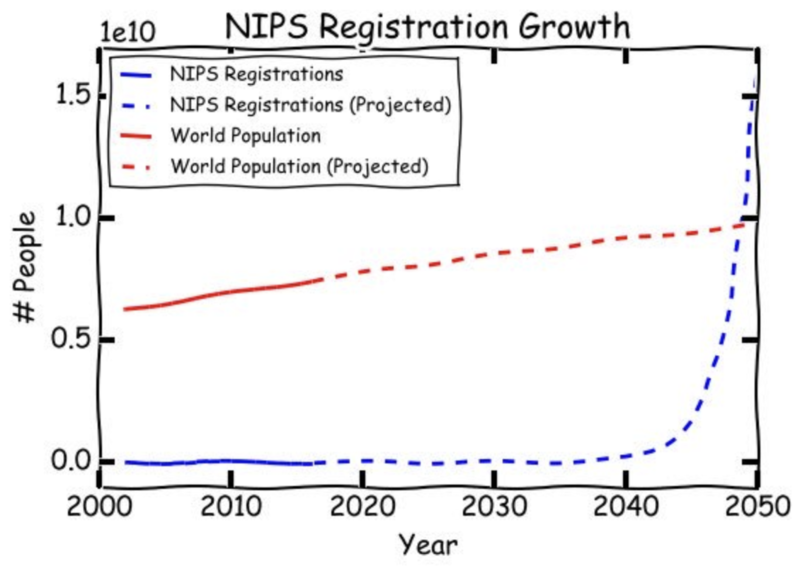 They use the NSL-KDD dataset for testing and a variety of different algorithms to play the role of the intrusion detection system, including SVMs, logistic regressions, decision trees, random forest, and k-nearest neighbour. Tests show that IDSGAN causes a significant drop in detection rates from around 70-80% to around 3-8% across the entire suite of methods. However, keep in mind that NSL-KDD is just a benchmark dataset and may not be a perfect representative of real networks. A couple of days ago Google has released a search engine for machine learning datasets and pretrained models. It’s a beta version and you can try it here. Google has released Dopamine - a research framework for fast prototyping of reinforcement learning algorithms. It’s shipped with Deep Q Learning, Rainbow, C51 and Implicit Quantile Networks. The software aims to make running experiments and trying out research ideas easy. However, they mention in the README.md that it’s not an official Google Product, so it’s hard to say whether it will stand the test of time. You can check github repository here. 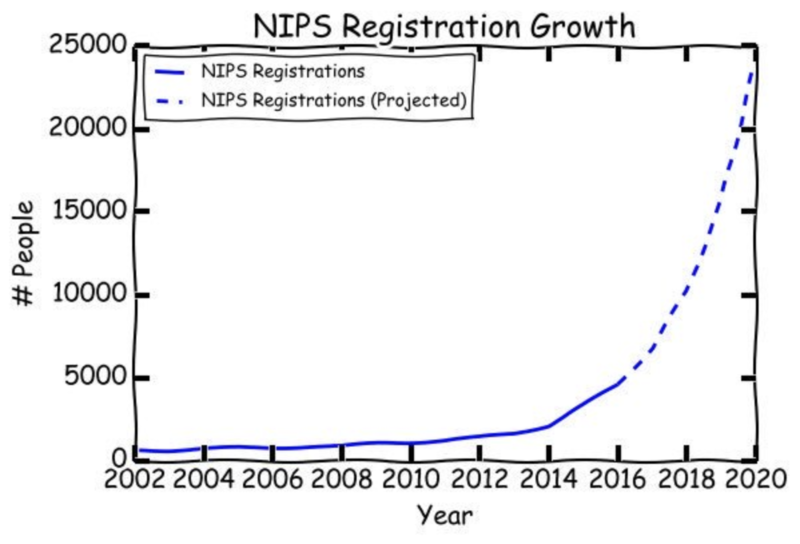 NIPS, a conference on Neural Information Processing Systems, is one of the most famous conferences in the Machine Learning world. This year the tickets sold out in 10 minutes! Half an hour after sales started I saw posts on Facebook from people who wanted to buy tickets like it was a Bon Jovi concert! Tomorrow (18th September 2018), I’ll be speaking at the ML Forum in Warsaw. My presentation will be focused on ML models’ predictions, and there will be a lot of other interesting speakers too. I know it’s quite short notice to still sign up, but don’t worry – I’ll share the top highlights in the next MLguru! Meanwhile, I hope you’ve enjoyed my news and interesting facts. Have a great week!